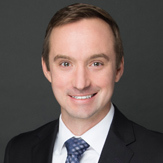 Matthew D. Shofner serves as Principal and CFO of Havencrest Capital Management. Prior to Havencrest, Mr. Shofner served as Principal at Hersh Family Investments ("HFI"), a Dallas-based single-family office, since 2013. At HFI, Mr. Shofner was responsible for deal sourcing, structuring and due diligence for investment opportunities across a wide range of industries, including healthcare services. Mr. Shofner worked closely with management teams and other private equity investors to improve the operational and financial performance of portfolio companies as well as help implement strategic initiatives, complete add-on acquisitions, and facilitate post-acquisition integration. Previously, Mr. Shofner worked at Ernst & Young for six years where he focused on mergers and acquisitions, advisory services and restructuring. Mr. Shofner earned his B.B.A and M.P.A. from the McCombs School of Business at the University of Texas at Austin. Mr. Shofner is also a member of the Texas McCombs Healthcare Advisory Council.